10th March 2017 – The Spring Tide Bar and Restaurant in South Lowestoft is holding a Charity Quiz Night on March 23rd to raise funds for us! We have recently moved to a new location and need to buy all sorts of desks, chairs and presentation materials for a new training/community meeting room. Please join us! 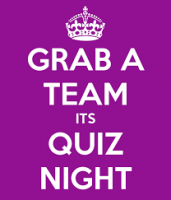 The quiz starts at 8pm and costs £2 per person (teams of 6) with £1 going to this charity. Anyone who wants to make a donation to us to help us kit out the room can drop in at the new location or post a cheque to North East Suffolk Citizens Advice Bureau, St Margaret’s House, Gordon Rd, Lowestoft NR32 1JQ. Once the training room is ready (it’s the former Registrar’s Wedding Room) it will be available to hire to other community groups too. Anyone interested in hiring the room, please email Janet on admin@nescab.cabnet.org.uk .